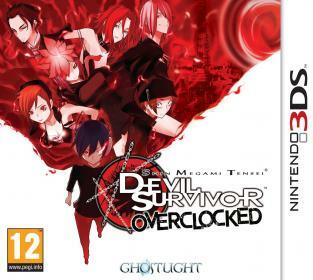 Ghostlight have announced today that Shin Megami Tensei: Devil Survivor Overclocked will be released on the Nintendo 3DS on April 5th 2013 and will be priced at £34.99. Ghostlight will also be offering a mighty A1 double-sided poster (sent rolled in a sturdy cardboard tube) to anyone who pre-orders through the Ghostlight Store. The poster will feature the box art on one side, whilst on the other there will be an amazing panoramic view of Tokyo handpicked from the wealth of incredible artwork created by the Atlus team. Considered one of the best RPGs of 2009*, the original Devil Survivor presented gamers with a novel premise: Tokyo is in full lockdown, the government’s swift, coldblooded response to a surprise demon invasion. While you and your friends must solve the nature of the inter-dimensional rift through which the horrific creatures are entering your world, saving the world is not your highest priority; staying alive, on the other hand, is. Expanded and enhanced, Devil Survivor Overclocked for Nintendo 3DS builds upon the game’s original release with the addition of voice acting for the entirety of the game’s lengthy, unconventional narrative. Moreover, that very story, already boasting multiple endings based on critical decisions by the player, now concludes with a special eighth chapter, a rousing epilogue for Shin Megami Tensei fans. The game’s beautifully remastered hand drawn artwork and character portraits benefit from the new system’s higher resolution screens, offering players a crisper, higher fidelity experience. ©2011 Index Corporation. Licensed by ATLUS/Index Digital Media, Inc.